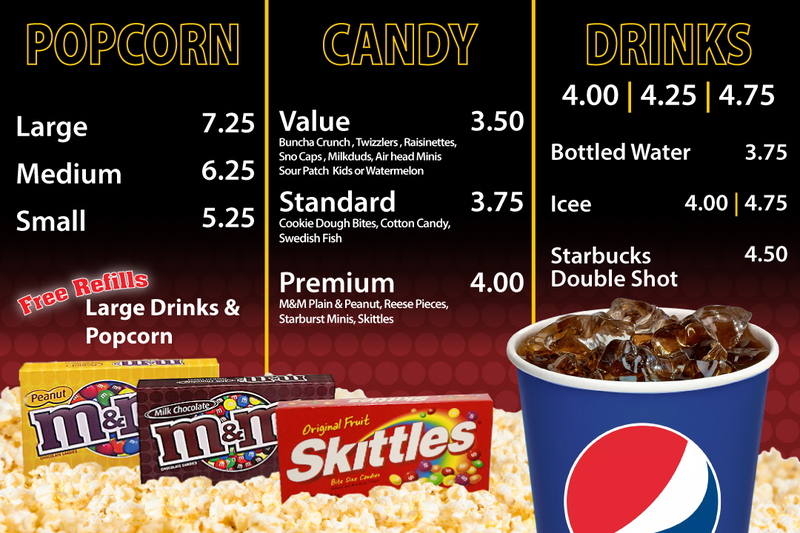 Concession Signs – Retriever Solutions, Inc. 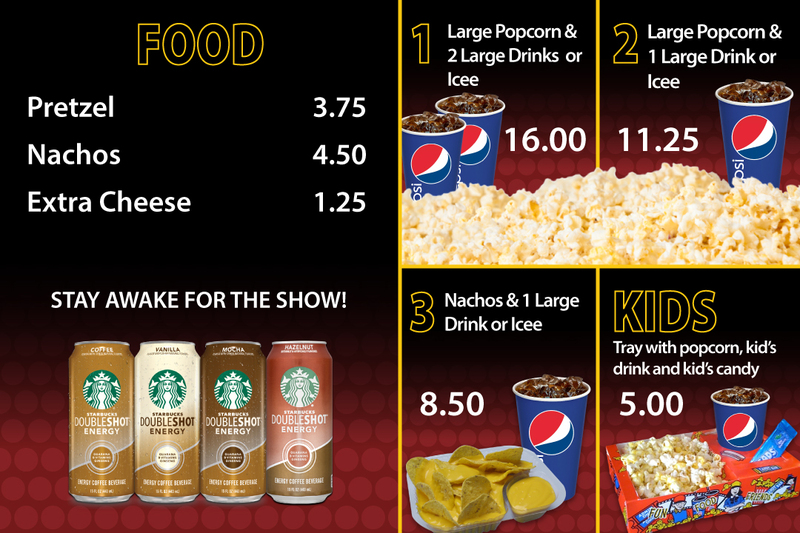 Display concession menus and your film line-up on easy-to-read flat screen monitors. 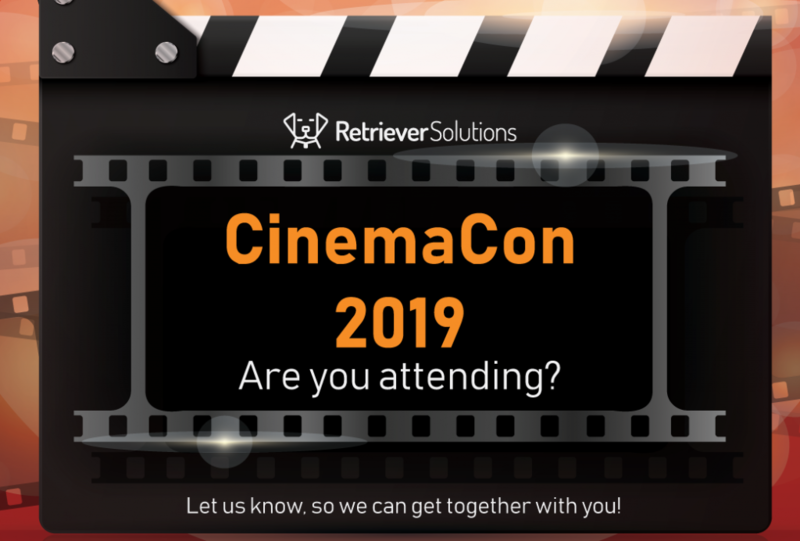 Movie schedules are updat- ed automatically from Retriever Solutions’ Point-of-Sale system, eliminating the hassle of physically changing signs when schedules change. 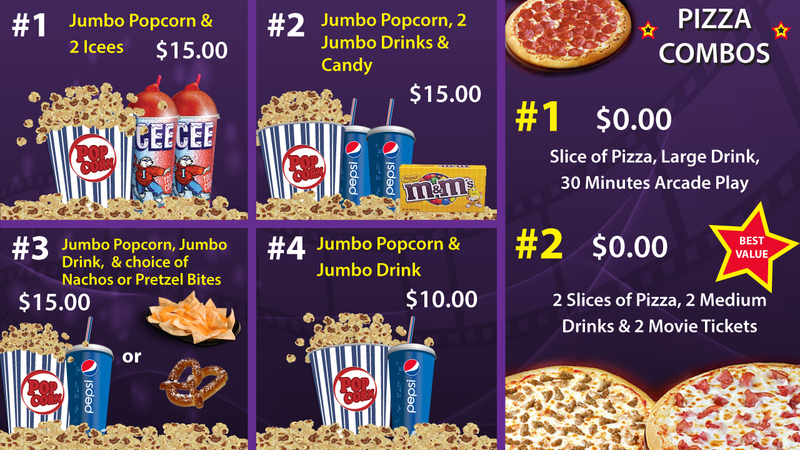 Choose from multiple stock menu templates or consult with our custom graphic arts team to create uniquely branded menu themes. Signs are controlled by networked Windows® devices connected to any sized TV or video wall.